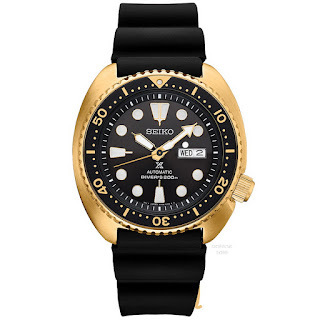 Has Seiko finally gone bronze? Nah, don’t be silly, Seiko are far too sensible a brand to jump on that bandwagon. This is Gold IP all the way, folks! Introducing the new Golden Turtle Ref. SRPC44. 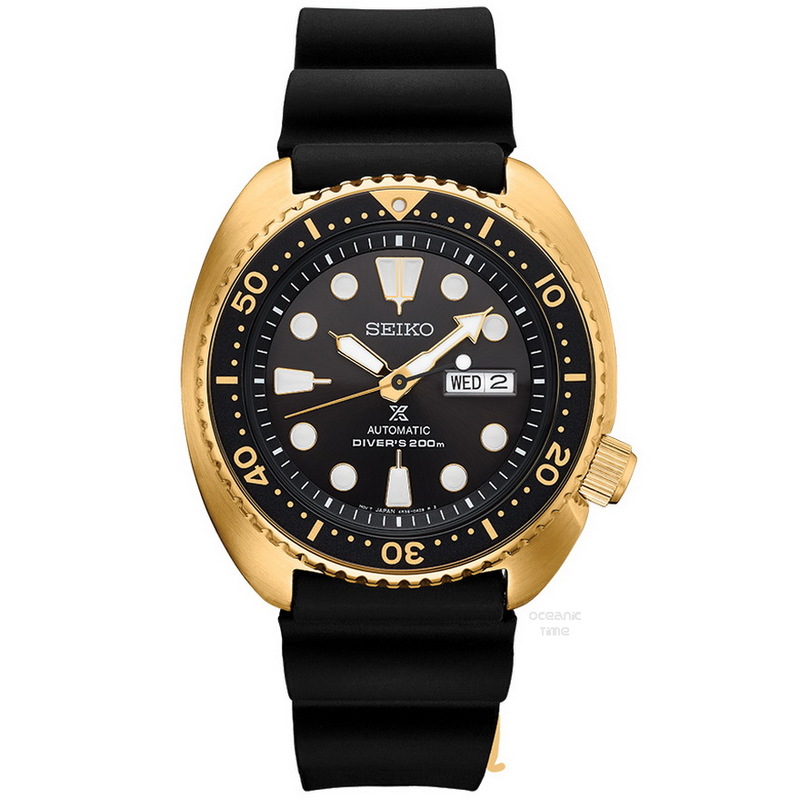 Powering the Golden Turtle is an in-house, Seiko Japan automatic 4R36 caliber with 24 jewels, a beat-rate of 21,600 vph and a power reserve of 41 hours. The hands and dial markers are with Seiko Lumibrite. The Golden Turtle’s 45mm in diameter case is made from Stainless steel with a Gold IP coating. It is fitted with a black rotational diver’s bezel with a colored 15-min scale, and a Hardlex mineral crystal. The case has a water-resistance up to 200 meters. where to buy ?? only Japan or Europe also ??? ?